Celebrating a victory! (No, not that one.) 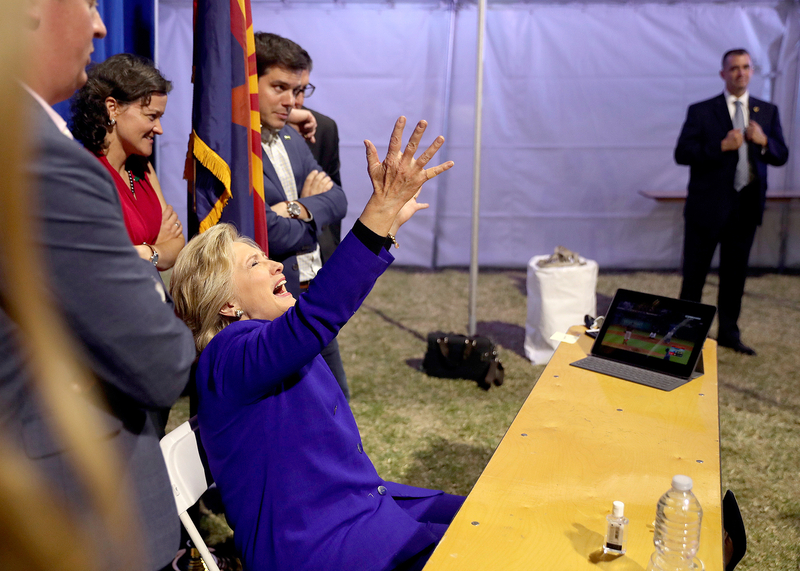 Hillary Clinton watched the nail-biter World Series Game 7 as her hometown Chicago Cubs narrowly defeated the Cleveland Indians in extra innings, and her reactions were priceless. 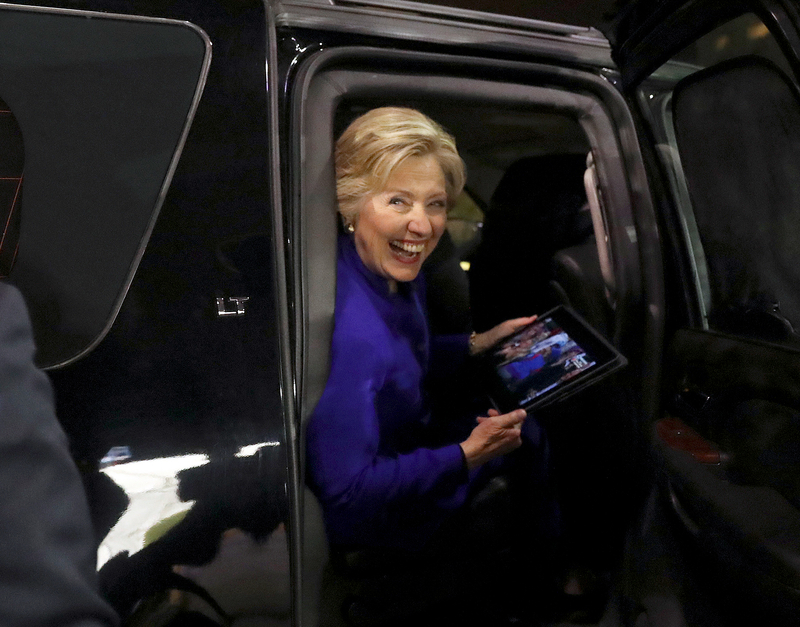 Since the Democratic presidential nominee was busy on the campaign trial, she livestreamed it on an iPad as she visited Arizona State University in Tempe, Arizona, for a rally on Wednesday, November 2. The Democratic presidential nominee, 69, who was born in Chicago and grew up in neighboring Park Ridge, Illinois, couldn’t miss her favorite team break their 108-year championship drought. 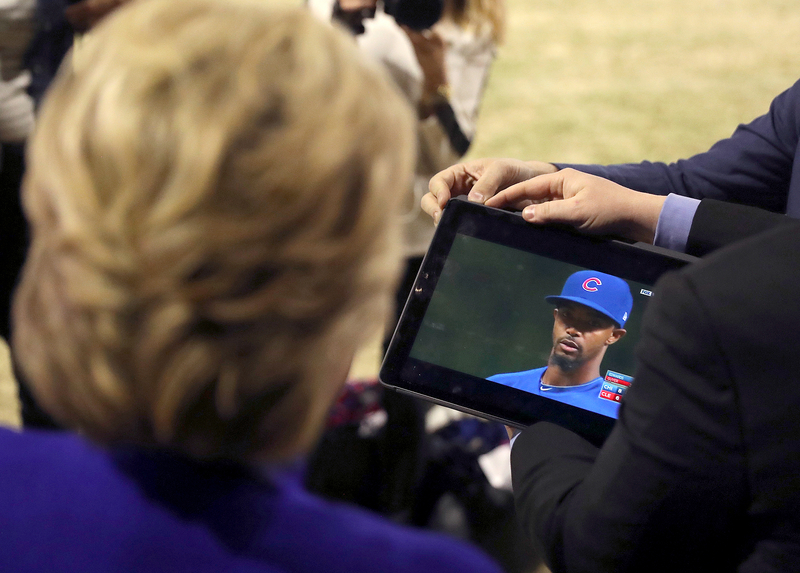 Although she had a stack of books to sign, the Oval Office hopeful multitasked and watched the game on the tablet. She later handed the device to a member of her team to hold as she went about her duties — and she looked a little stressed out by the neck-and-neck score. 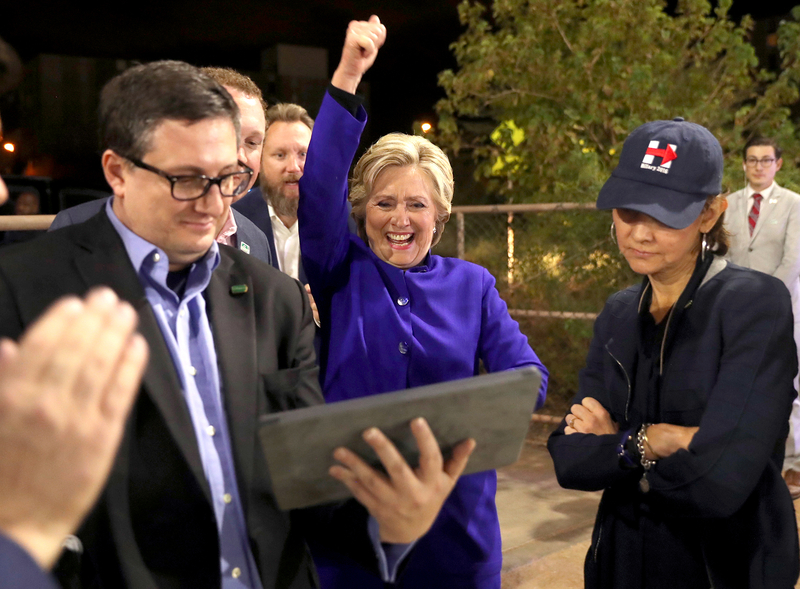 The presidential candidate even delayed her exit from the event to catch the extra inning. When the Cubs finally closed out the game with a win, Clinton was seen grinning and raising her arms in praise. Staffer and fellow Cubs fan Connolly Keigher pulled the baseball club&apos;s signature “W” flag out of her purse, and she and Clinton held it proudly. “They did it! 108 years later and the drought is finally over. Way to make history, @Cubs. #FlyTheW –H,” the former first lady tweeted soon after the game ended. She wasn’t the only famous figure to get excited about the World Series. President Barack Obama congratulated the team and invited them to the White House before he officially leaves office in January, and superfan Bill Murray, who attended the game in Cleveland, went crazy celebrating his beloved team’s big night.